Positioning of the ankle joint and the foot. Tip: this splint is available as a pre-cut. 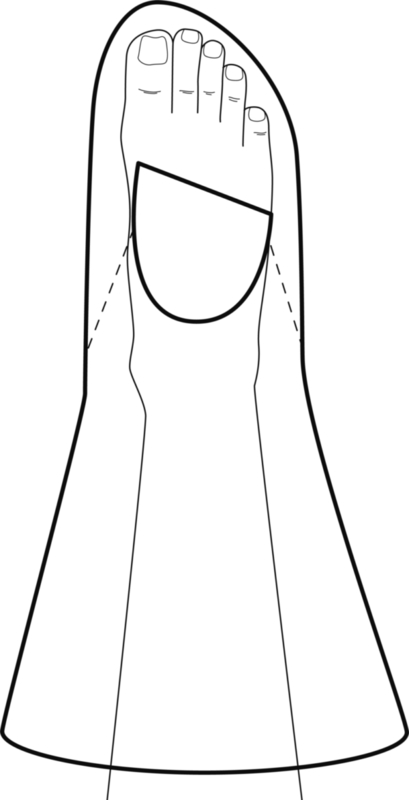 Place the pattern over the patient’s foot with the distal edge of the opening under the metatarsals. Fold the lateral wings upwards. 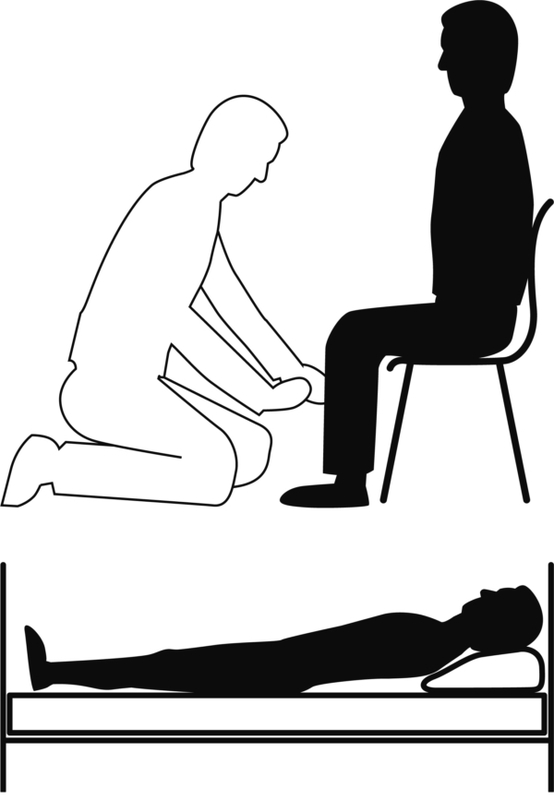 Hold the foot in the desired position. 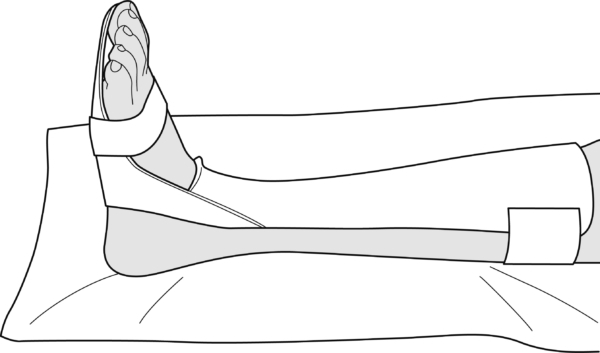 Finishing: widen the splint at the level of the malleoli and apply soft padding material around the ankle. Fixation: a very large strap around the calf and a narrow strap over the instep.